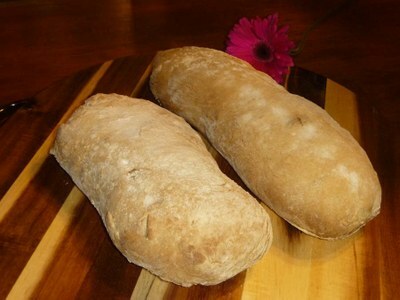 Rye bread goes well with just butter, it is so flavorful and rich in taste. 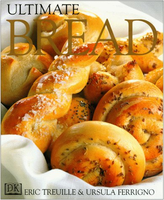 We baked this bread with the kids, visiting here in Big Bear Lake, they had a lot of fun and the outcome was a mega hit. 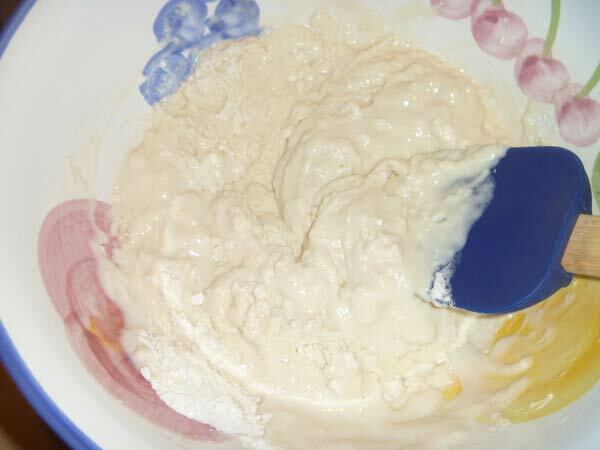 To make starter: sprinkle the yeast into the water in a bowl. Leave for five minutes: stir to dissolve. add flower and mix to form a thick batter cover with a dish towel and leave for 2 hours. To make the dough: mix the flours and the salt together in a large bowl. Make a well in the center and pour in the starter and half of the water. Mix the flour. Stir in the remaining water and form a fairly moist, sticky dough. Turn the dough out onto a lightly floured work surface. Knead the dough until smooth and elastic, about 10 minutes. Put the dough in a bowl and cover it with a clean dish towel. Let rise until doubled in size, about 1 hour. Punch down, then let rest for 10 minutes. Divide the dough into two equal pieces and shape into long loafs, place them on a floured baking sheet and let rest for 5 minutes. Dust the loafs lightly with flour. Cut six or seven short slashes, 1/4 inch deep at 1/2 inch intervals. Cover with dish towel and proof until doubled in size, about 1 1/2 hours. Bake in the preheated oven for 45 minutes at 400ºF until hollow sounding when tapped underneath.